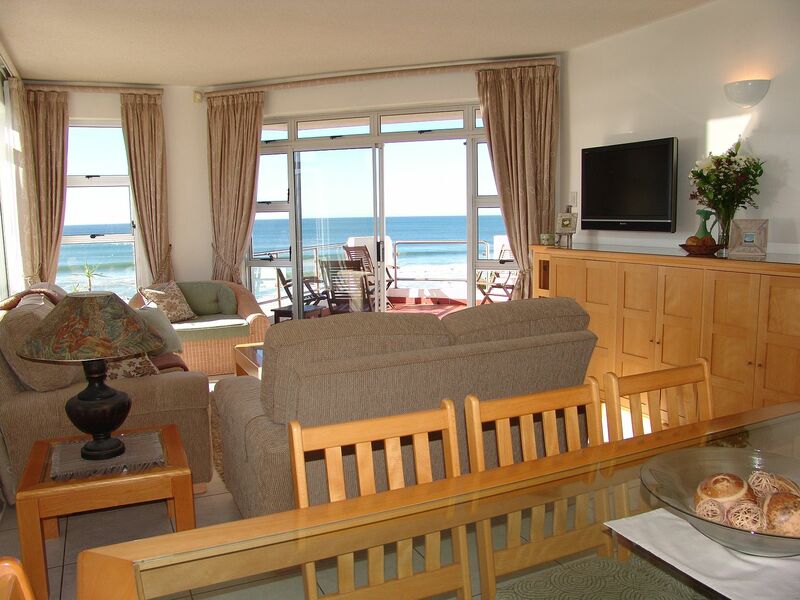 The Penthouse is the ultimate choice for accommodation in Jeffrey's Bay! 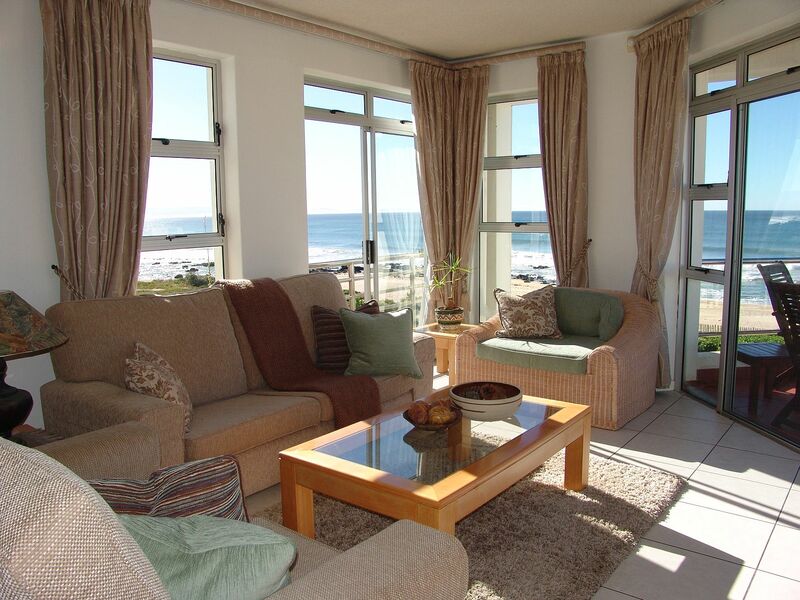 With spectacular views across the beach to the ocean where dolphins and whales can be seen in season .The luxurious, spacious Penthouse on the third floor has three stunning bedrooms, each with its own balcony. 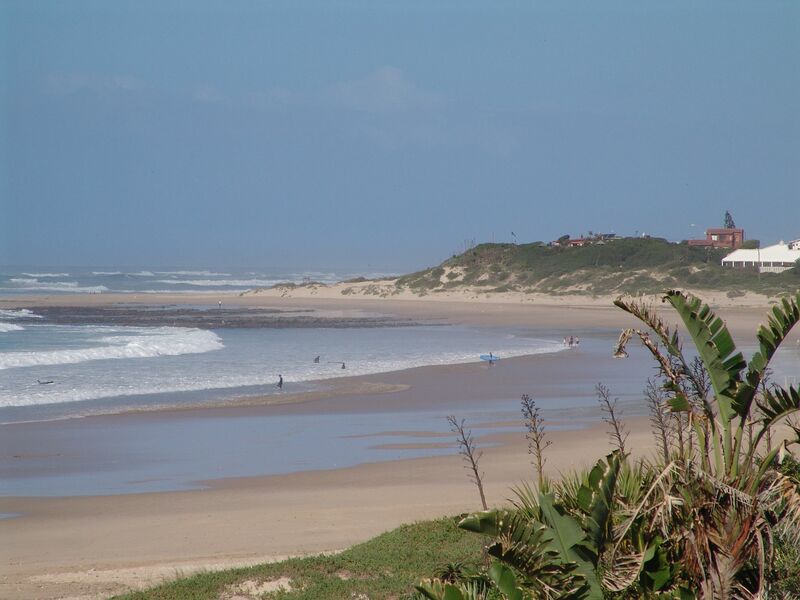 Ideal for families or couples travelling together. 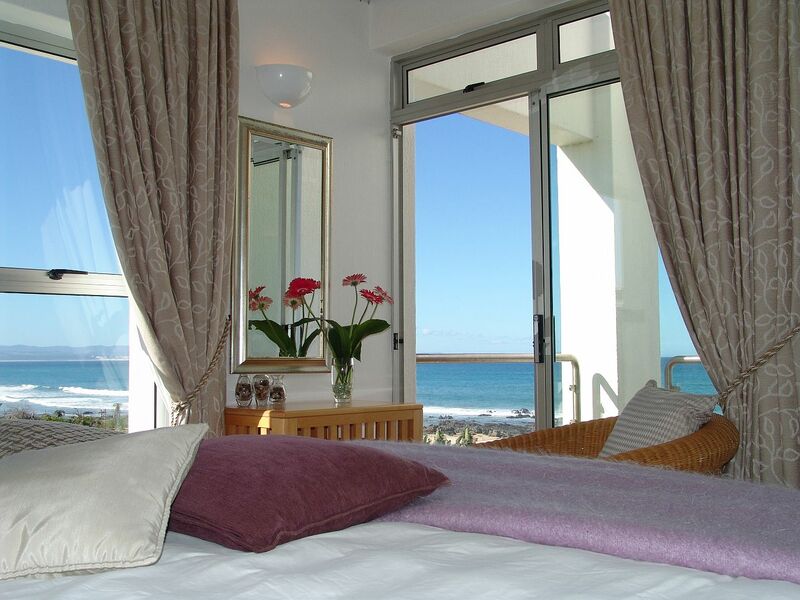 The Penthouse has a full en-suite bathroom leading off the main bedroom and another full bathroom with a bath and shower. There is also a comfortable sitting area,dining area and a fully equipped kitchenette, where our staff will prepare your breakfast for you each morning at a time that suits you. The sitting area leads onto a sunny patio with barbecue facilities and a dining area where breakfast can be served. 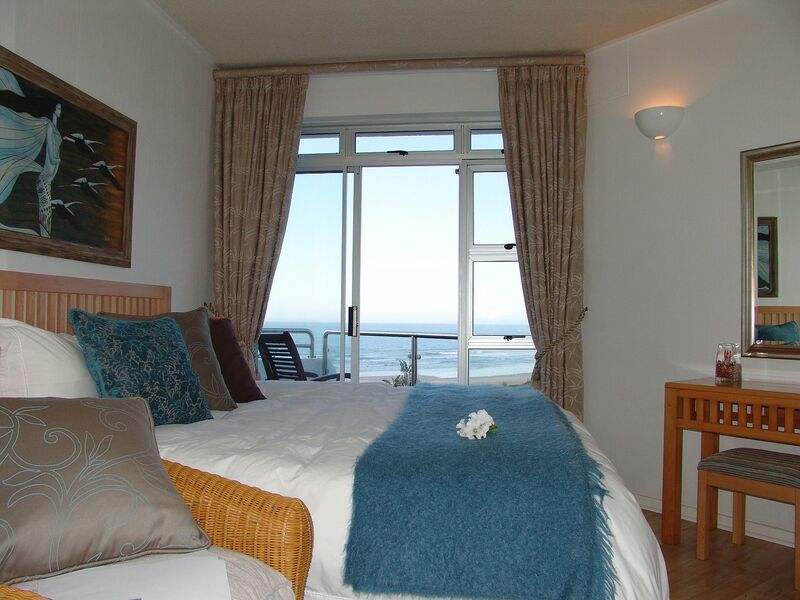 The main bedroom has a king size bed and there two single beds in each of the other bedrooms. All beds are dressed with 100% cotton linen.